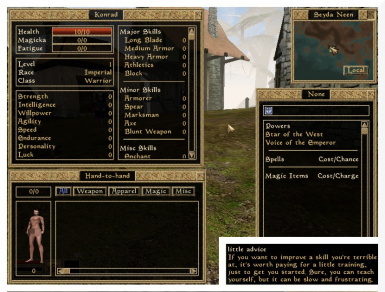 Allows you to start new game with ALL the initial Attributes and Skills set to zero. 2. Exit to Seyda Neen and confirm changes.